In an unprecedented movement to financially empower Indie Artists, independent record label "9th Ward" rolls out a proven platform for performing/recording artists to significantly monetize their influence over their fans! Feasibility was proven over the past 3 years with flagship artists "S4TF" (Somethin' 4 The Fellas); a female R&B vocal group based out of Houston, TX. The quintet collectively generates approximately $400k per year and has amassed a total collective worth of $3.6 million. Unless you have been living under a rock for the past year, you are aware of iconic music mogul Jay-Z's groundbreaking move to spearhead a venture (TIDAL) in partnership with other A-list artists that allow the artists to take significant control of their royalties generated from online streaming of their music. Meanwhile, another (essentially unknown) "Jay" was making headway on a groundbreaking strategy that allows artists to take advantage of other income streams that are rarely afforded entertainers NOT considered "A-list", or backed by a major record label's deep marketing budgets as an "up and coming" new artist. 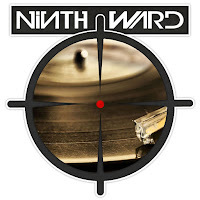 Jay Davis (Jay D) is the founder and co-owner of independent record label "9th Ward Promotions and Production Company, LLC". He has quietly, yet definitively, developed and executed a strategy that allows independent artists to generate revenue purely from the influence of their fans...WITHOUT the artist needing to ever sell a single unit of their product! He then created a platform in which just about any artist can take advantage of and roll out with little or no painstaking effort on their parts. It's so comprehensive that it may eventually even take the place of needing a manager! The launch of the campaign begins with a crowdfunding initiative through IndieGoGo that allows artists to obtain a full-featured mobile app and guidance on how to monetize it for just $40. 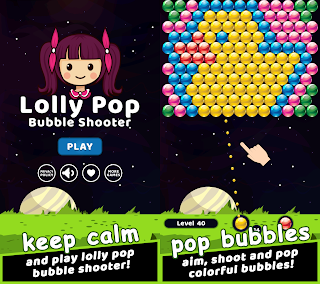 This app is published on Google Play for all fans with Android phones. An upgraded version is available to make the app available to fans with iPhones, iPads and iPods for just $39/month. For artists that want to take a more "hands-off" approach and focus on getting fans and making music, they are able to get a "Full Service" package starting at $80 (upgrading to iOS is still $39/month). The difference being that 9th Ward will bring all of the opportunities to make money to you! They simply get 18% on all contracts executed from the opportunities they bring to the negotiating table. 0 comments on "New Record Label Unveils Innovative Earning Strategy for Indie Artists, Using Mobile Apps, Without the Need to Sell Their Music"